Brian Settles is to perform with an ensemble led by Lewis “Flip” Barnes during Transparent Productions’ special ‘Black History Month tribute to Lawrence “Butch” Morris Feb. 2 at Bohemian Caverns. Thanks to compatriot Willard Jenkins’ Independent Ear, from his Openskyjazz.com website, for pulling our coat to “The Breath Courses Through Us,” a new jazz film to have its premier Friday January 31, the next event in the Library of Congress Jazz Film Fridays series, produced by Larry Appelbaum. “The Breath Courses Through Us” it will be part of a double feature of Alan Roth films, and admission is free (call 202-707-5502 for reservations) for the screenings at the Mary Pickford Theatre in the James Madison Building, 101 Independence Avenue S.E. Both “The Breath Courses Through Us” and the double-feature “Inside Out in the Open” focus on the left side of the jazz spectrum; the former focusing on The New York Art Quartet (John Tchicai, Roswell Rudd, Milford Graves, and Reggie Workman). “Inside Out in the Open” features “such fearless explorers as Marion Brown, Baikida Carroll, Burton Greene, Joseph Jarman, Rudd, Alan Silva, Tchicai, Daniel Carter, William Parker, Susie Ibarraand Matthew Shipp.” A major bonus of “The Breath Courses Through Us” is an appearance by the poet-author Amiri Baraka, who passed on to ancestry earlier this month. The films are to be introduced by bassist and WPFW programmer Luke Stewart. The Washington Ballet Jazz/Blues Project, which began Jan. 29 and runs through Feb. 2, showcases what it calls “Americana at its finest … the iconic music of Etta James and Charlie ‘Bird’ Parker and world-class dance come together” in Trey McIntyre’s “Blue Until June” and Val Caniparoli’s “Bird’s Nest,” along with the world premiere of PRISM by Annabelle Lopez Ochoa, with music by Keith Jarrett, at Sidney Harman Hall, Harman Center for the Arts, 610 F St. N.W. in D.C. The program features guest appearances by Helen Hayes Award Winner E.Faye Butler and the Howard University Jazz Ensemble. Call 202-547-1122 or go to www. washingtonballet.org for show times and ticket information. Also this weekend, on Saturday, Feb. 1, the inimitable and multi-talented Esperanza Spalding is at the Warner Theater. Sunday Feb. 2 is super – not because of that football game but because Transparent Productions presents a special event, a ‘Black February’ Tribute to Butch Morris, featuring a special screening of “Black February: Music is an Open Door,” a film by Vipal Monga on the life and music of cornetist and conductor Lawrence Douglas ‘Butch’ Morris, 1947-2013. The event is at 5 p.m. at The Takoma Park Community Center, 7500 Maple Avenue, Takoma Park MD. Suggested donation is $20 at the door. Call 301-891-7224 or go to www.transparentproductionsdc.org for more information. “Black February: Music is an Open Door” chronicles “an unprecedented series of concerts performed in New York by Morris in February 2005, “celebrating his revolutionary technique for leading live improvisations … [the film] is about how music is made and what it means. It’s about the struggle of artists trying to distill the purest essence of themselves into their work, and the scope of a musical theory that has the potential for redefining what it means to make music,” according to Transparent Productions information. Following this screening, trumpeter Lewis “Flip” Barnes will lead an ensemble using Morris’ conduction technique, and feature Morris’ rarely performed “Black February”. Flip’s ensemble includes: Brad Linde and Brian Settles on reeds, Luke Stewart on electric bass, Warren G. Crudup III on drums, Anthony Pirog on guitar, Mike Noonan on vibes, and Dr. Thomas Stanley and Bobby Hill, recitation. The movie is being sponsored by the City of Takoma Park’s ‘We are Takoma’ Winter/Spring film series. 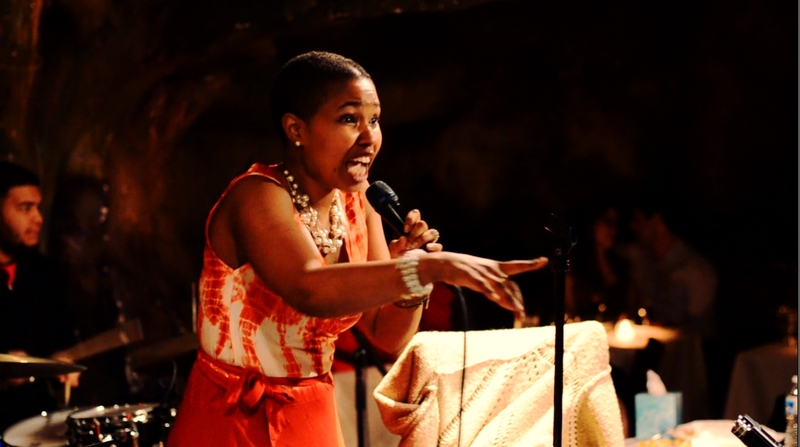 M-Law and the Prophets of Jazz, heard during the D.C. Jazz Festival in June, appear Feb. 5 at the Bethesda Blues & Jazz Supper Club. The group has a driving, soulful sound with jazz influences. M-Law & the Prophets of Jazz is a quartet consisting of trumpet, keys, electric bass, and drums and was formed by trumpet and flugelhorn player Mary Lawrence Hicks (M-Law). See www.bethesdabluesjazz.com for more information. Transparent Productions also presents The Ethnic Heritage Ensemble, the group that for more than “four decades has combined concepts of African American music making with the roots of traditional African music, to make something new,” when it returns to the area for its annual Black History Month performance Sunday Feb. 9 at Bohemian Caverns. Ensemble founder Kahil El’Zabar (drums, voice, kalimba), former President of the Association for the Advancement of Creative Musicians, who led the ensemble’s first performance in 1973 in his hometown of Chicago, will play at the Caverns with multi-reed instrumentalist Ernest Khabeer Dawkins and young lion trumpeter Corey Wilkes. Valentine’s Day, Feb. 14, finds a trio of opportunities to enjoy the vocal wonders of eminent songstresses, with Sharon Clark at the Loew’s Madison Hotel, Akua Allrich at Bohemian Caverns and Ann Hampton Callaway at the Kennedy Center. Also next month, Transparent Productions presents Stephan Crump’s Rosetta Trio at the Caverns Feb. 16, with Crump on bass and Liberty Ellman and Jamie Fox on guitars. Veteran vibraphonist and percussionist Chuck Redd is the special guest for the JazzForum at the University of the District of Columbia Feb. 19, when he will discuss his career as a musician and educator and discuss his upcoming participation in a tribute to legendary jazz radio programmer Felix Grant Feb. 20 at the Smithsonian American Art Museum. Also on Feb. 19 at Bethesda Blues & Jazz Supper Club, Armand Ntep, a “unique vocalist and a prolific, innovative composer,” appears, promising vocal work that ranges “from silky baritone croon to pygmy-inspired syncopation to tender tenor ballads.” His compositions “run the gamut from salsaJazz to reggae to traditional ‘lihongo’ from his native Cameroon,” says Ntep’s publicity information. Sax master David Sanchez, who has worked with Eddie Palmieri, Hilton Ruiz, Roy Haynes and many other greats, plays at Bethesda Blues & Jazz Feb. 23. 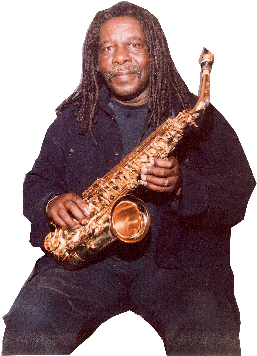 One of our masters of the music, bandleader, composer, saxophonist and educator Carl Grubbs peforms in a special Black History Month concert Feb. 28 with his quintet at Randallstown Community Center. Rounding out the month, on Feb. 28, up the road toward Baltimore is one of our more venerable masters of the music, Carl Grubbs, the composer, educator and bandleader who has spent time in his native Philadelphia, in Washington and most recently the Baltimore area over the last couple of decades perfecting and pushing his craft forward. Grubbs, who won the prestigious Baker Award in Baltimore a couple of years ago, fittingly will perform at the Randallstown Community Center in Randallstown for a “In Celebration of Black History Month” concert with his quintet, including John Blake Jr., violin, Eric Byrd, piano, Blake Meister, bass and John Lamkin III, drums. It is a free event but there is limited seating, so patrons are urged to reserve tickets online at www.instantseats.com/events/ContemporaryArts. 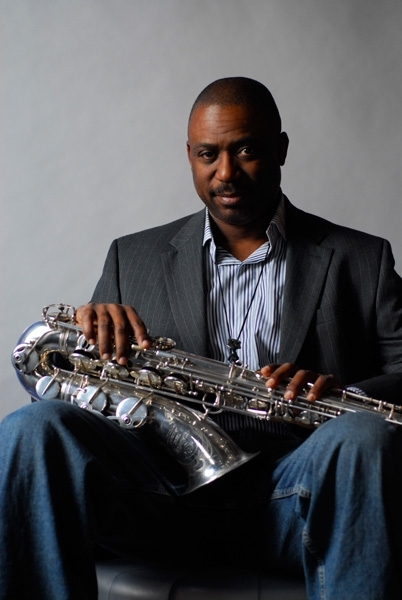 Saxophonist, educator, bandleader and festival maestro Paul Carr brings his Mid-Atlantic Jazz Festival back again this year Feb. 14-17 in Rockville. 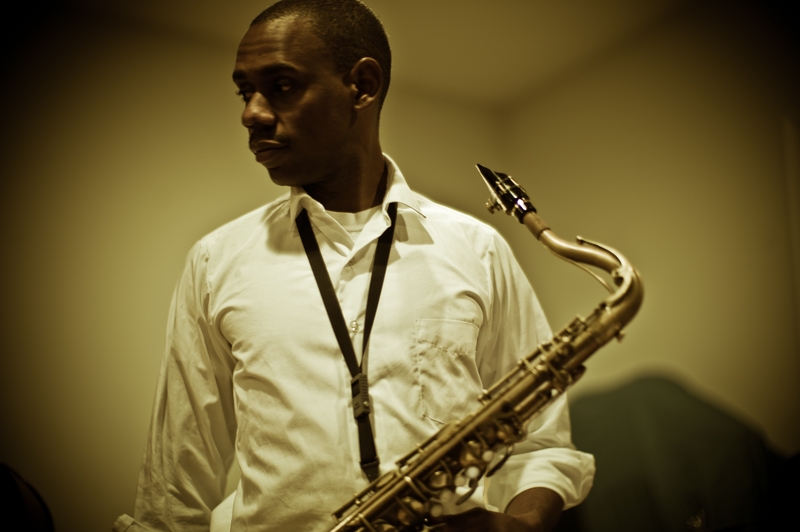 It can’t be said too many times that we are so blessed Paul Carr took up the mantle of the former East Coast Jazz Festival when Ronnie Wells passed to ancestry too soon and began his Mid-Atlantic Jazz Festival which enters its fourth year next month and is getting better all the time. MAJF returns Feb. 14-17 at the Hilton Washington DC/Rockville Hotel and Executive Meeting Space in Rockville, with school band competitions, workshops, vendors and performers including Maurice Lyles, Vanessa Rubin, Giacomo Gates Freddy Cole, Wes Biles, Allyn Johnson, Pepe Gonzalez, Gary Bartz, Sharon Clark, Chad Carter, Lori Williams, Jessie’s Soul Line Dancers, Christian McBride, Bobby Watson, Kenny Rittenhouse, Javon Jackson, Les McCann, the Blues Alley Youth Orchestra, Reginald Cyntje, Benny Golson … and Paul Carr! Just to name a few headliners. See www.midalanticjazzfestival.org for complete festival schedule, tickets and more information.